Patients get some of the most interaction with the budtender. This position is one of the hardest to get because it's one of the most important positions in the industry. 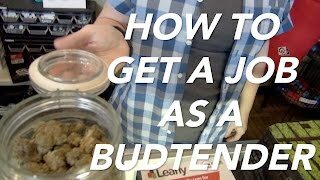 This article provides a guide that will allow one to step a foot into the budtending industry. How were your products created? Why is your product better than your competitors? While it's important to know your product, it's also important to entertain your customers. People become loyal when they feel involved and engaged in your business so you should do what you can to make them gain that perception. You can tell them stories about your own experiences with the product; for example, the time you cleaned your entire kitchen or cured your back pain. 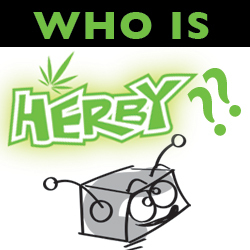 Perhaps the best way to begin marketing is to go to marijuana conventions. There, you can get your foot into the metaphorical door of this industry. You can talk to other people who are visiting the convention and begin to put yourself out there. The more people know you, the more they'll visit your business. Normally, education is the best thing you can do to prove your credibility. In this business, however, new schools and programs are constantly being created so you should probably wait before getting a certificate because a better program will definitely come your way. Now, this might seem like an odd suggestion but the truth is that being a cashier will really help to build your confidence and will allow you to interact with customers in your area. 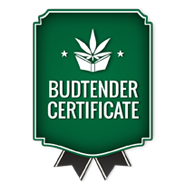 In conclusion, becoming a budtender will require you to gain several skills that will give you an edge over your competitors and that will make your customers feel personally connected to your business. These skills range from story-telling to knowledge about your products; either way, you have a greater chance of becoming a budtending if you follow these steps.